6sqft: Do those who observe the religion Wicca call themselves witches, Wiccans, or both? Starr: You know how Americans tend to take a word from another place of origin and mispronounce it? It’s the same thing with the word Wicca. 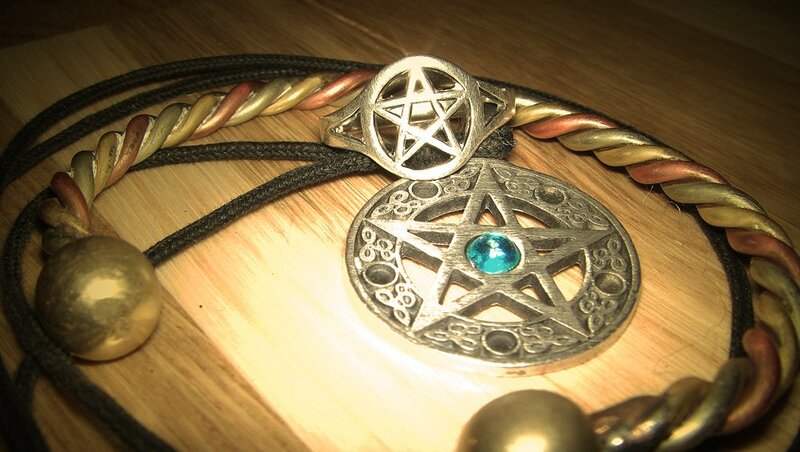 The original Wicca is an old Anglo-Saxon word meaning witch, and that’s how the pronunciation was. But when it was brought to the United States and it became Wicca (pron. ˈwɪkə). 6sqft: Were you raised as a witch? Starr: I was not. In terms of witchcraft, or however you want to term it, my belief is that we are all born a certain way and eventually our soul, or whatever it is that you have inside of you, guides you towards it. I grew up very Christian/Catholic, and Wicca was calling me to find out more about the true sense of it. 6sqft: What are the core beliefs in Wicca? Are there any misconceptions surrounding the religion? The big misconception people have about us is that we are going to cast a spell on them. When people hear I’m a witch they go, “Oh my god, you’re going to cast a spell on me,” and they start acting funny. They are watching too many movies! But all of us explain to people that a spell is basically similar to a prayer; a prayer being said very fervently to have something come about. 6sqft: What inspired you to found The New York City Wiccan Family Temple? Starr: A lot of witch or Wiccan groups have been formed over time, but a lot of them don’t cater to people with kids. Families were able to go into circles, but our kids were never welcome. I didn’t like that because I wanted to raise my kids within my beliefs—and as they get older they can choose otherwise; it’s up to them. But in the way others are exposed as kids to their parents’ religion, I felt my children should have that same opportunity. Of course, our group is not a good fit for everybody, because a lot of adults come and they’re not happy being around kids. But nothing is a perfect fit and you have to find your own niche or your own group you feel right with. Anyway, as far we are concerned, family means everyone. 6sqft: Solstices and equinoxes are very important. Can you share a bit about them? Starr: The equinoxes and solstices have always been, since the beginning of time, our holidays. They’re all different. Samhain begins at midnight on the 31st and ends at the close of the day on November 1st. People have come up with different names for it and it’s celebrated around the world as the Day of the Dead or the Feast of the Dead. But the veil between the worlds is thinner then. This is our first holiday of the year because that’s when our new year begins. It’s actually interesting to see how many have gone, “Oh, that’s a pagan holiday so we’re not celebrating it anymore.” A lot of the holidays have come as a result of that; groups couldn’t get people to stop celebrating them, so the popular religions decided to create their own holidays around it. Take for instance what we consider yule. Yule would be one of the solstices, and that’s on the 21st of December. Yule tide is being taken away from a lot of the languages because they are realizing it’s very pagan derived. 6sqft: How is Samhain observed on October 31st? Starr: You can do different things, but it’s all based around the dead. We’ve done a dumb supper where you set up food for your loved ones and you celebrate with them. It’s kind of similar to how they would do it in Mexico where they bring the skeletons of their dead and they invite them in and have food set up. They are not technically eating it, but it’s all in honor of them. Sometimes we do more of an honoring of our ancestors or loved ones. We bring momentos, photos or any trinkets that belonged to them, and we speak about them. We mention their names and say, “At this time, we make sure that we remember you.” Sometimes people need to feel they are close to that loved one that’s been dearly departed. It’s their way of saying goodbye or getting closure. It’s a very somber and it’s based on each person. It’s a sad time, but at the same time it’s a happy time to be able to know that you feel close to that loved one or that ancestor in some way. Sometimes you see a lot of tears going on because it’s reverent to us. 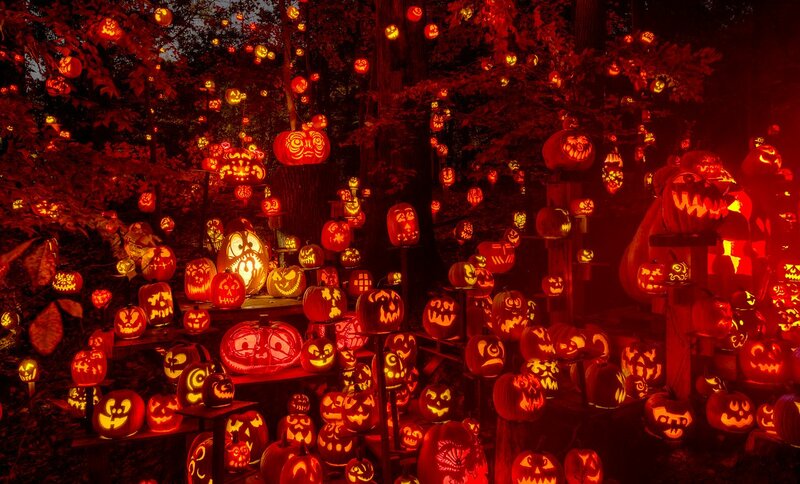 This year we are telling everyone to bring jack o’lanterns with a votive inside to do a precision of light to guide the dead to the ritual. People can carve in whatever way feels good for them and just bring it along. 6sqft: How do witches/Wiccans dress for Samhain? Starr: Normally it’s best to be dressed in black because that’s what the holiday calls for, but it’s up to the person; there is no dress code. We tell people they can come in costume if they wish because some of them are going to parties after. 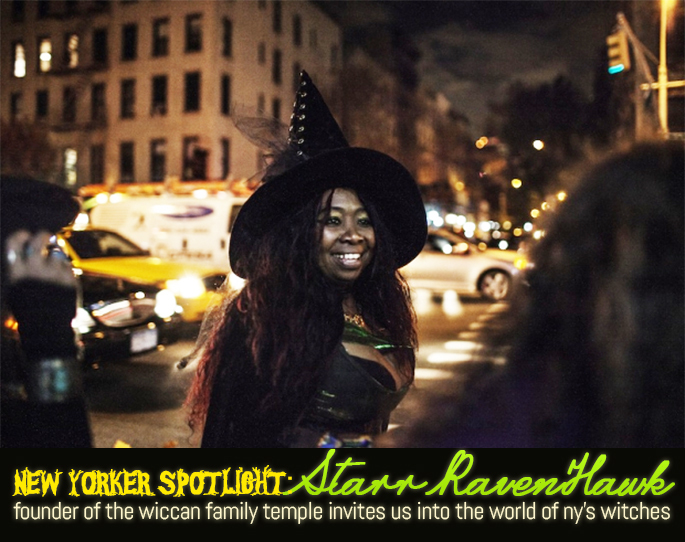 6sqft: Would people be surprised by the range of New Yorkers who are witches/Wiccans? Starr: I think more shocked because a lot of them are judges, lawyers and professionals. But I know public schools teachers that cannot say or do anything because they don’t want to lose their jobs. A lot of them are what we consider to be “in the broom closet” because of their livelihood, and like anyone, they need to be able to eat and take care of their rents. 6sqft: If there is one thing about witches you would like to share with New Yorkers, what would it be? Starr: Witches are people too. People need to be more open minded to different things rather than just be so closed off. 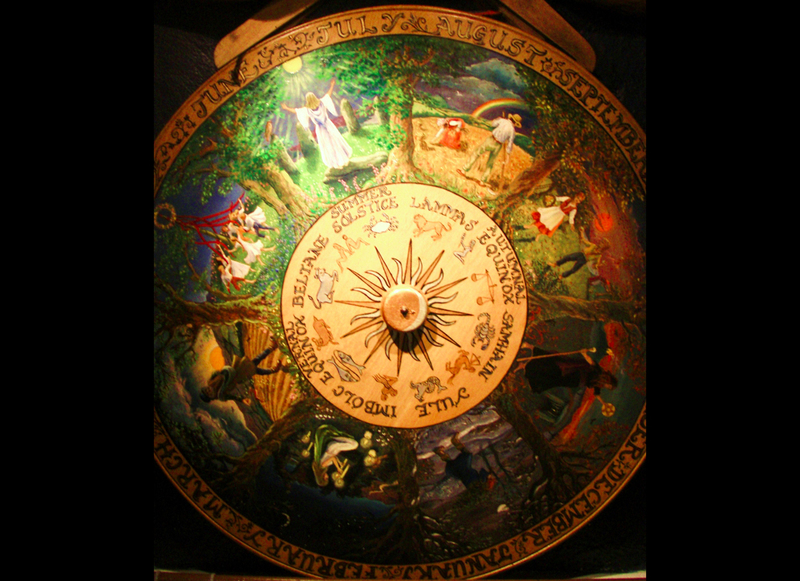 Learn more about The New York City Wiccan Family Temple here.